Mitsubishi has launched a cut price 260bhp version of its Lancer Evo VIII. It offers 261bhp at 6,500rpm and shifts from 0-62mph in 6.1 seconds. The Recaro front seats have been widened slightly and a stereo radio CD with six speakers has been added as standard equipment. The only exterior ‘visual’ difference is a subtle small rear spoiler, which is standard for the UK market. Equipment includes Super AYC (Active Yaw Control), but gearbox is a revised 5-speed close ratio rather than 6-speed. 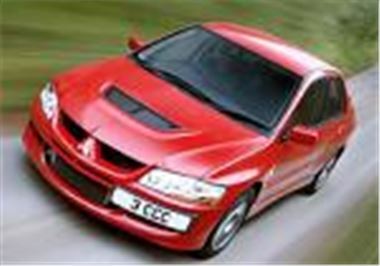 For £23,999 the car comes with a full 3-year warranty and a network of Mitsubishi Ralliart dealers.